The rules have changed! Consumers have always been led to believe that the Banks control the process, now more than ever, it’s imperative that consumers are in the driver’s seat and education is the key! In today’s daunting real estate and mortgage market, it’s critical to have the necessary tools at your disposal to make those unemotional, life-changing investment decisions. It all boils down to the ability to answer the questions that need to be answered to insure that you are making a sound business decision and not letting emotion fueled by that incredible gourmet kitchen or jetted spa make the decision for you that you may regret later. It can be said that, “It’s what consumers…don’t know…they don’t know that puts them at risk!” We are going to let you in on all the “Insider Secrets” that are guaranteed to take you to a whole new level when it comes to credit and homeownership! This show is for YOU! Please join us to learn how we can all change our financial future…one house at a time. 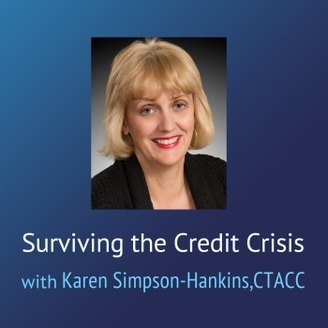 Surviving the Credit Crisis – Getting Your MBA is Easy With NEW Online Programs! In today’s business world, it seems like employers are looking for more leadership and management skills in their young executives than ever before. Some companies are now requiring an MBA at entry level and/or for advancement. Getting your MBA (Master of Business Administration) is the most prestigious degree in the business world. With new online programs designed for the working professional, getting to that next level is easier than you may think! Join me today as my guest, Abbey O’Connor, Asst. Dean & MBA Director of Longwood University, College of Business & Economics and I discuss Longwood’s virtual program. Why should someone get their MBA? What are the benefits of completing your MBA online? What does Longwood’s online MBA look like? What is the benefit of earning a MBA in real estate? What kind of courses will I complete with an real estate MBA? If you are interested in taking your career to the next level, Check out the Longwood University online MBA program HERE! Surviving the Credit Crisis – How to Find $4000 in 30 Minutes or Less! Surviving the Credit Crisis – How to Make Money Without Money! 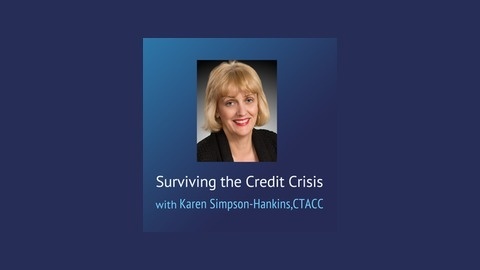 Surviving the Credit Crisis – 1 in 3 Americans are on the Verge of Financial Ruin!